Just over ten years ago, the first mir rorless cameras started hitting the market. They delivered the flexibility of an interchangeable lens system, but in a more compact form factor compared to DSLRs. Unfortunately, the early generations lagged behind their DSLR cousins, hindered by performance issues like slow autofocus and poor battery life. Fast-forward to 2019, and mirrorless cameras have changed the game. Not only are they as strong as DSLRs, but if you look at certain reports, they are outperforming them in sales as well. For you, this means there are far more appealing options than before. Whether you’re looking for something that’s capable enough for studio work or compact enough for travel, many models will fit the bill. 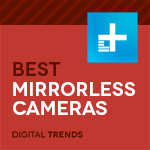 Here are our current favorites for best mirrorless camera in a number of categories. The Nikon Z6 is the mirrorless camera for the DSLR hold-outs. While smaller than Nikon’s full-frame DSLRs, the grip (and menu system) feels very much like a DSLR. With professional level weather-sealing, the Z6 is an incredibly well-made camera. 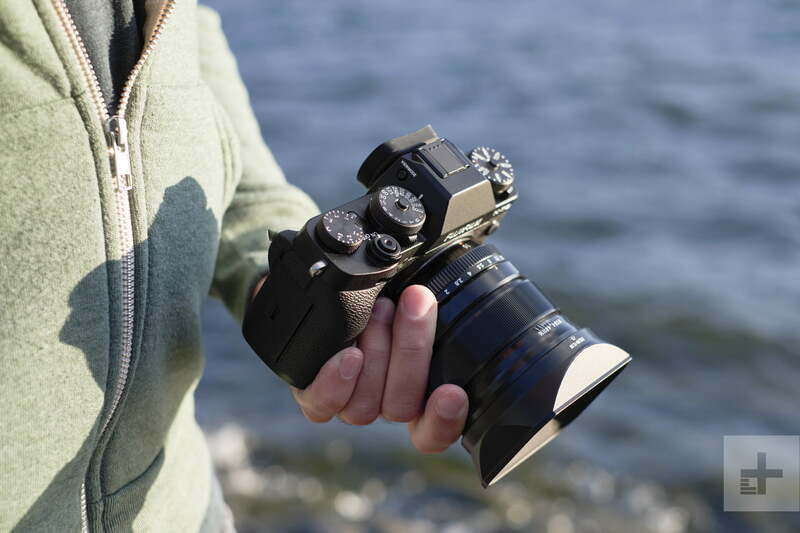 While we haven’t always been fans of the early electronic viewfinder, the EVF on the Z6 is big and high resolution, while offering numerous advantages over an optical viewfinder, like focus peaking and an accurate exposure preview. The Z6 sports a 24.5-megapixel sensor that’s better in low light than the 45MP. Mixed with the 5-axis in-body stabilization, the Z6 delivers impressive low light results — and can even outperform Nikon’s full-frame DSLRs at high ISOs. Colors are what we’d expect from a Nikon and the new Z lenses are very sharp. The Z6 and Z7 also make serious gains in video, including 10-bit 4:2:2 N-Log to an external recorder, something even Sony’s third-generation mirrorless cameras don’t have. The Z6 also uses a 273-point hybrid autofocus system that, alongside the Z7, is the first on-chip phase-detection autofocus that Nikon has ever done. There’s still room for improvement, particularly when focusing in low light, but continuous autofocus is available even at the maximum 12-frame-per-second continuous shooting speed. If the Z6 was Nikon’s third or fourth attempt at making a pro-level mirrorless, it would be less impressive. But if the Z6 and Z7 is what Nikon can do with their first try, then we can’t wait to see what else is in store for the Z series. More than any other camera, the Z6 has finally given Sony some real competition in the full-frame mirrorless game. Why should you buy this: While Sony calls this their basic camera, the performance is anything but. 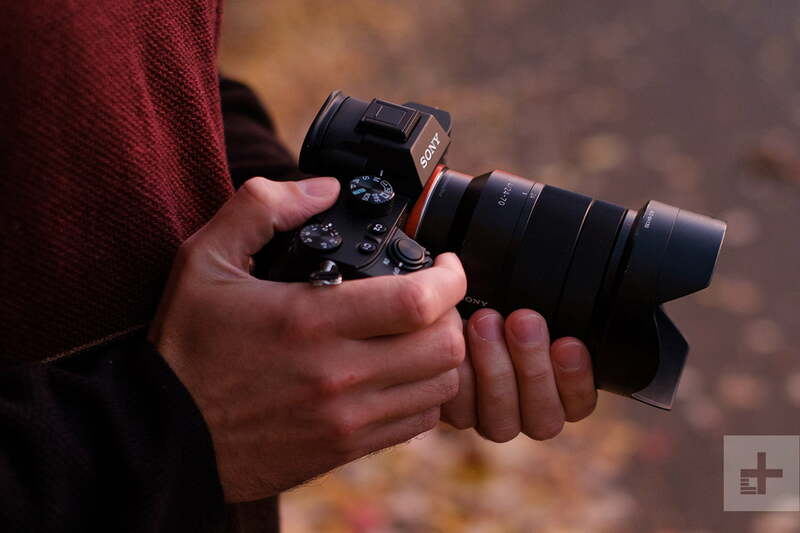 The Sony A7 has long been one of our favorite digital cameras — and the A7 III mixes some of the best qualities of the series together in one camera. With the low light performance of the A7S II, the dynamic range of the A7R III, and some of the A9’s blazing speed, the A7 III is plenty of camera for many photographers — and yet it’s the least expensive current full-frame model in the series. 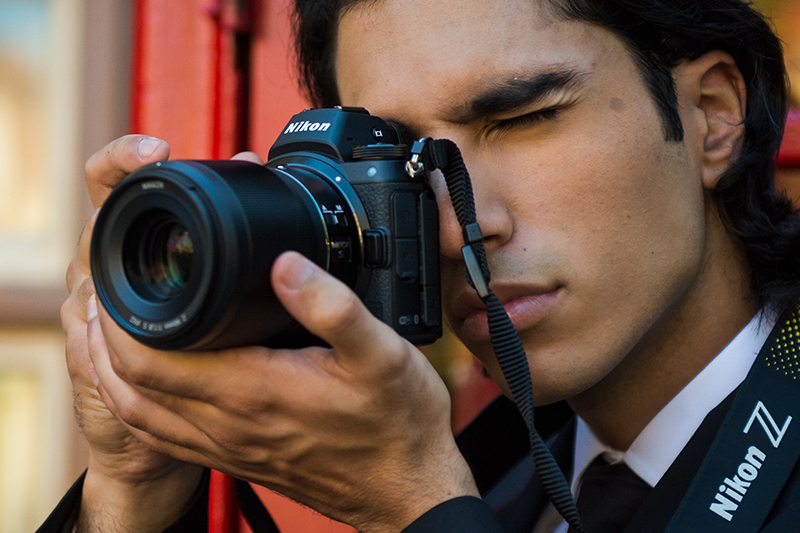 The A7 III sports a backlit 24-megapixel sensor that delivers impressive image quality, with great results even at very high ISOs. Equally impressive is the dynamic range, which helps keep more of the details in the shadows and highlights intact. That five-axis stabilization system doesn’t hurt, either. 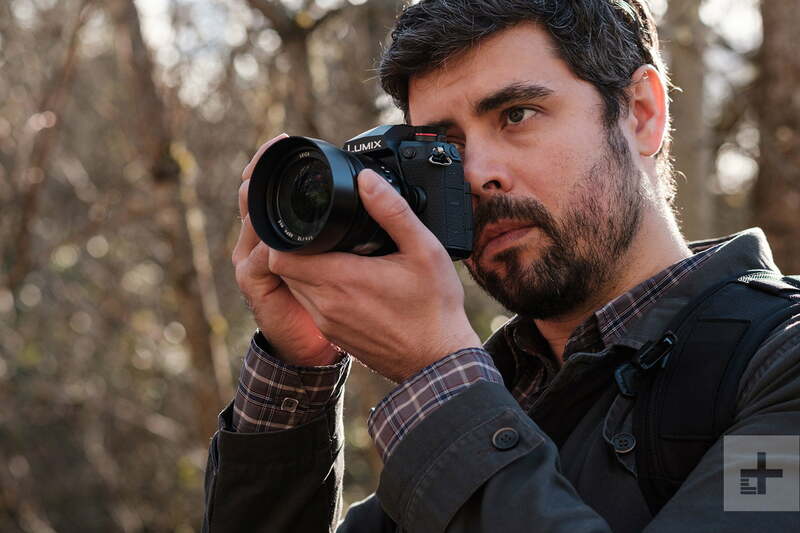 The camera also offers a solid 4K video mode, with a plethora of customizable options for adjusting the look of the picture, although it lacks the 10-bit output of the Nikon Z6. Sony has had time to fine-tune the A7 the third generation is a refined, high-end product. Autofocus is quick to lock on, the 10-fps burst rate holds for 40 RAW files, and the battery life — at over 700 exposures — is the best we’ve seen in mirrorless. The control scheme isn’t our favorite, and many competing cameras use higher resolution viewfinders, but the Sony A7 III offers plenty of features for the price. If you need more resolution, the Sony A7R III has it — but the A7 III is a lot of camera for $2,000. Mirrorless cameras, in theory, can be faster than DSLRs. Without that mirror, there are fewer parts to move to take a single picture. The Sony A9 is the first to truly put theory into practice. It can run laps around other full-frame cameras on the market, thanks to a 20-frames-per-second burst speed and a 693-point autofocus system. The A9’s speed is due in part to a stacked sensor, with one layer for pixels, one layer to read those pixels, and a third layer that serves as short-term memory for those pixels. While Sony has launched stacked sensor cameras before, the A9 is the first full-frame model to adopt the technology. Its 24-megapixel resolution won’t match the A7R III (at 42MP) for detail, but its faster performance makes it a much better option for sports and action photographers. The Sony A9 isn’t quite perfect; Sony has fewer lens choices than a Canon or Nikon, and then there’s that price tag. There are definitely cheaper options, but when it comes to the camera that’s bringing the most innovation to pro-level photography, the A9 is the one to beat. Full-frame cameras may be all the rage these days, but Fujifilm continues to prove there’s plenty of value in the smaller APS-C format. The Fujifilm X-T3 isn’t just the best APS-C mirrorless camera — we think it’s the most capable APS-C camera on the market, period. The truth is, most people don’t need a full-frame sensor, and the X-T3’s backlit X-Trans sensor captures excellent images with a wide dynamic range and solid low light performance. Video improvements finally put a Fujifilm in close competition with other options for serious videographers, utilizing a high bitrate version of the HEVC codec. While images are excellent, it’s the design that solidifies the X-T3’s place in the top spot. The electronic viewfinder is high resolution (3.69 million dots) and can even refresh at 100 fps for a more optical feel. The X-T3 uses the same excellent control scheme as the X-T2 and feels both retro and futuristic at the same time. Factor in the updated autofocus system and the X-T3 is a well-rounded camera. We missed the in-body stabilization of the X-H1, but the X-T3 made enough improvements to give the newer camera the top pick in the category. The Fujifilm X-T3 retails for about $1,500, body-only. Originally $1,700, the G9 can now be found on sale for as low as $1,298, making it an even more attractive buy. Normally $2,000, the GH5 is currently discounted to $1,600. There are many APS-C and even some full-frame competitors to be found in this price range, so while the camera is excellent, the investment isn’t for every photographer. Interested in an even more compact and stylish MFT camera that won’t break the bank? We recommend taking a look at the Olympus OM-D E-M10 Mark III. Still reeling from the four-figure price points of the best mirrorless cameras? While the growth of the mirrorless ecosystem means there’s now a pro-level performer in every category packed full of incredible features, camera companies aren’t leaving entry-level users behind. The Canon EOS M6 is a beginner-friendly camera that you can currently pick up for under $500, or $600 with the 15-45mm kit lens. The newer Canon EOS M50 has more features, but the price point is a bit higher. Our selections are based on our long- and short-term testing; experience with earlier models; familiarity with the companies’ technologies; consultation with industry experts, fellow journalists, and users; online forums; lab results (such as DxO Mark); and other third-party reviews. 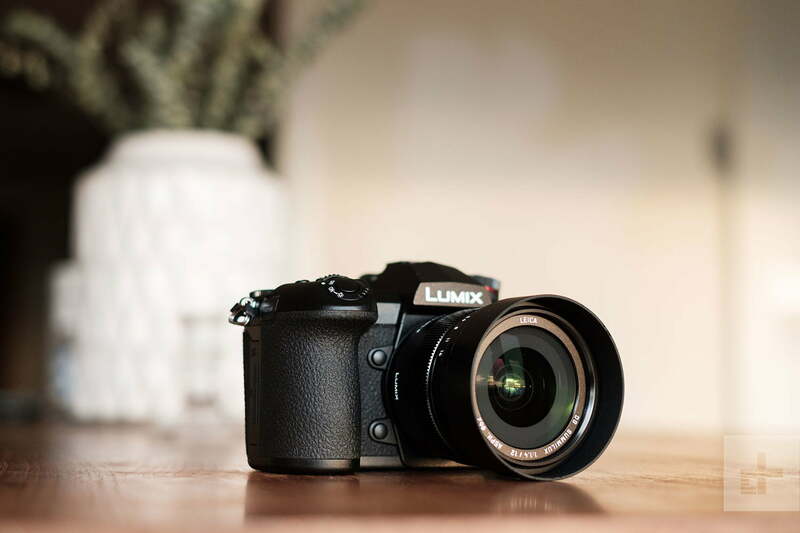 We look across the board — not just our own experiences — to find consensus on what we think are the best-performing cameras you can currently buy. We also look at list pricing to determine if a product is worth the cost. For more on the difference between DSLR, mirrorless, or point-and-shoot cameras, check out our guide here. We also have tips on how to buy a camera, and if you’re buying your first mirrorless camera, read up on how to select some lenses. To learn more about the difference between the various sensors used by mirrorless cameras, read our explainer here. New to digital cameras? Here are some helpful explanations of some of the terminology and tech that you’re likely to run into along your search. There’s a lot of jargon out there, and understanding it is key to knowing what you’re getting. DSLR – This stands for Digital Single Lens Reflex. This type of camera uses a mirror to reflect light from the lens up into an optical viewfinder. The mirror then moves out of the way when the shutter button is pressed, allowing the light to pass through the shutter and land on the sensor. 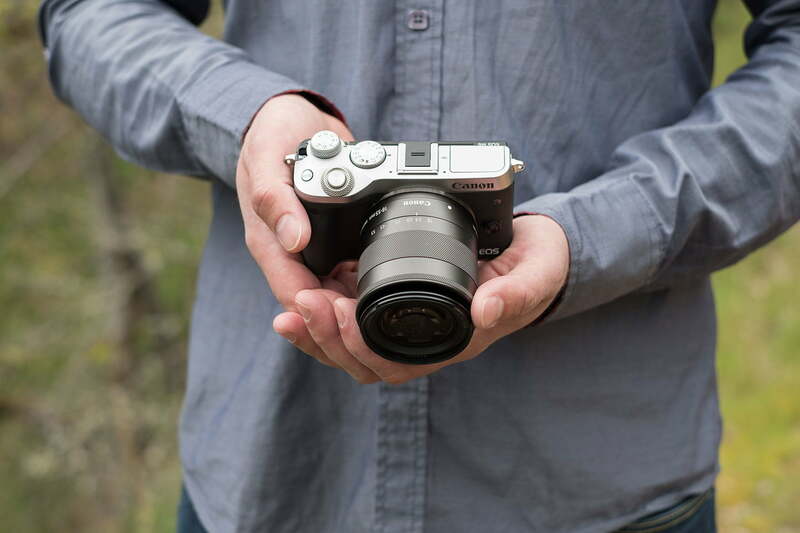 Mirrorless – A mirrorless camera, as the name suggests, does not use a mirror. Instead, light from the lens goes directly to the sensor and photos are framed on the LCD screen or through an electronic viewfinder (EVF). Mirrorless cameras tend to be smaller than DSLRs because of this. Sensor – The digital equivalent to film, the sensor is covered in light-sensitive pixels. Each sensor “sees” only red, green, or blue light, the data being combined later into a full-color image. Full frame – An image sensor equal in size to a frame of 35mm film. Common in enthusiast and professional DSLRs and mirrorless cameras. APS-C – Named after the ill-fated APS (Advanced Photo System) film, this sensor size is smaller than full frame with a crop factor of 1.5X. Common in beginner, enthusiast, and professional DSLRs and mirrorless cameras. 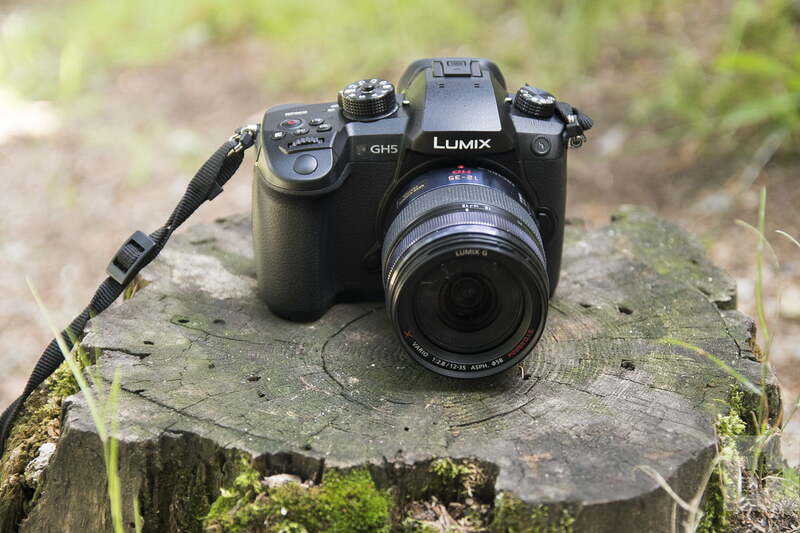 Four Thirds – A sensor format smaller than APS-C, with a crop factor of 2X (compared to full frame). Now commonly found in mirrorless cameras using the Micro Four Thirds standard by Panasonic, Olympus, DJI, Blackmagic Design, and a few others. Megapixel (MP) – One million pixels. Used to denote the resolution of a sensor. A 24MP sensor has 24 million pixels. Shutter – A physical curtain that opens and closes in front of the sensor to expose it to light. Many cameras also employ optional electronic shutters, which bypass the mechanical version. Shutter speed – The length of time the shutter remains open to expose the sensor to light. Shutter speeds typically range from 1/8,000 of a second to as slow as 30 seconds. The longer the shutter is open, the more light is allowed in, but this also can lead to blurry images. A faster shutter freezes action, but does not let in as much light. Lens – The eye of the camera. A lens is made up of several different glass elements that focus the light onto the sensor. Wide-angle lenses have a larger field of view (good for landscapes and group photos) and telephoto lenses have a narrower field of view (good for single-subject shots like wildlife and portraits). Aperture – The diaphragm in a lens that can open or close to increase or decrease the amount of light the lens allows in. A wider aperture also creates a shallow depth of field, which allows for a subject to be in focus while the background is blurred, a technique often used for portraits. A small aperture keeps more distance in focus and is often used for landscapes. F-number – You’ll see this on the lenses of both interchangeable-lens cameras and fixed-lens models. The f-number refers to the size of a lens’s aperture, but a smaller number means a larger aperture. Lenses are identified by their maximum aperture value, so if you see 50mm f/1.4 that means that lens can open up to a maximum of f/1.4, not that f/1.4 is it’s only aperture setting. When shopping lenses, looking at the f-number is an easy way to compare which can let in more light and produce a shallower depth of field. IS – Image stabilization. Different manufacturers brand this in different ways, such as OIS (optical image stabilization), OSS (Optical Steady Shot) or VR (vibration reduction). Different manufacturers put stabilization in the sensor, the lens, or both. 4K UHD – 4K Ultra High Definition video has a frame size of 3,840 x 2,160 pixels (roughly 4,000 lines of resolution) and is four times the pixel count as Full HD 1080p. Full HD 1080p – Full High Definition video has a frame size of 1920 x 1080 pixels. The “p” refers to “progressive scanning,” as opposed to “interlaced scanning” which is less common today.